Care instruction:machine/hand washable,low iron if necessary. Material:100% high-grade combed cotton pinpoint oxford and poplin plaid,Good capability of tenderness, air permeability and moisture absorption,This classic, versatile shirt provides a clean, buttoned-up look with a special wash for a soft feel and maximum comfort. 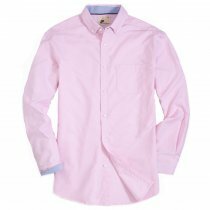 Style:Long-sleeve button-up shirt featuring cutaway collar and pocket at chest,Split back yoke with a box pleat ensures a comfortable fit and a greater range of motion.little piping around the neck give shirt a fashion look. 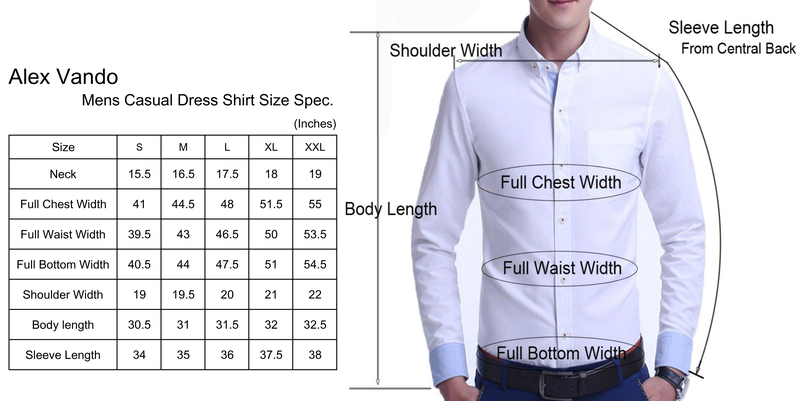 Occasions:This Fashion men shirt is suitable for Sports, Casual, Business Work, Date, Party, Perfect gift for families, friends and boyfriend, Many colors provided , good for usual casual life. Warm Tips: The model is 6'1 height, 162lbs wearing a size Medium for reference.Kindly wash it before wearing and cut back on the tags.100% Money-back satisfaction guarantee. 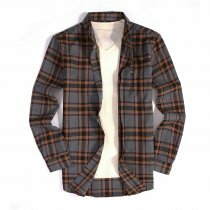 ALEX VANDO men's plaid button down shirt is designed by premium material and inspired by gloable trends .this classic button down collar shirt features soft touch cotton fabric and single chest pocket，as well as piping around the collar.Dress to impress!